I have been here for a couple of days. There are dishes all over, I have not bathed. And I realize that I am busy. I am busy doing the work for my children that I cannot count on their fathers to do. I am busy picking out glass; tending to traumas that while inflicted by men, I cannot count on men to support the healing of. I am busy tending to the trauma of my community, who have been gaslit into believing it is our job—the survivors of this violence—to fix it. I have stopped searching for healing in men now. I have realized that I will never find medicine in places where I have to beg for it. Nor a place so contaminated with poison. I hope someday I will not have to ask. I am tired of talking to ghosts. 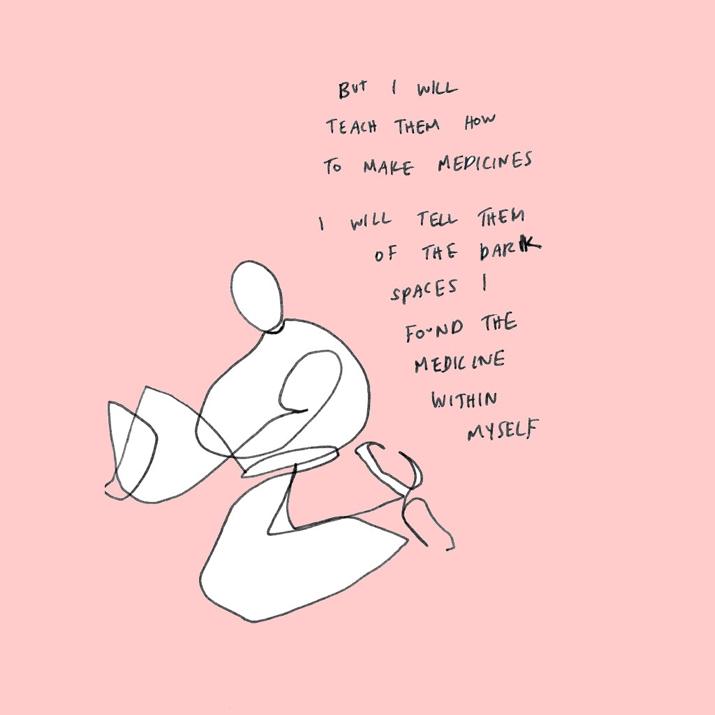 Hannah Ciordas is queer femme artist located in Montreal. She uses a creative autoethnographic approach to make reflexive, intimate, political and subversive art. Hannah sees art as a spiritual practice that can be used to talk to, comfort, and therapize the Self. She uses her work as a means to reclaim experiences of gendered trauma that have so often been minimized, erased and gaslit. 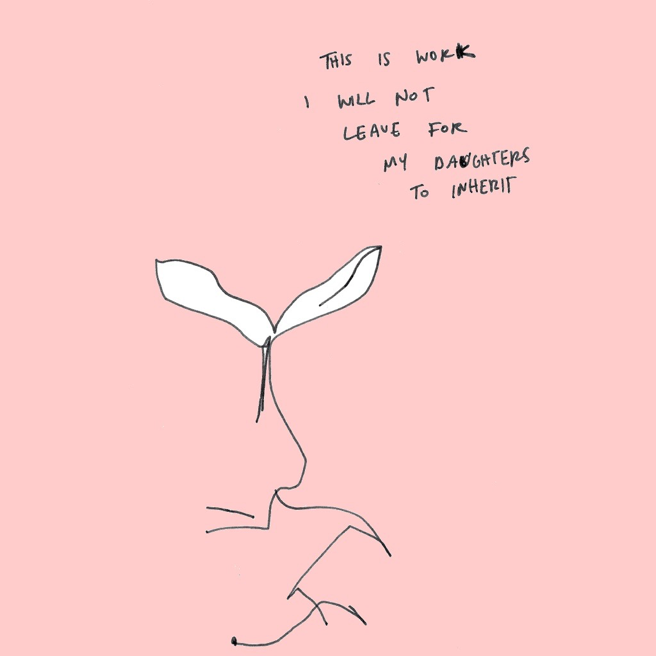 Using primarily digital illustration, ink and paint, Hannah integrates diary with visual art to document her reality and meditations on emotional labour, whiteness, bodies and healing. 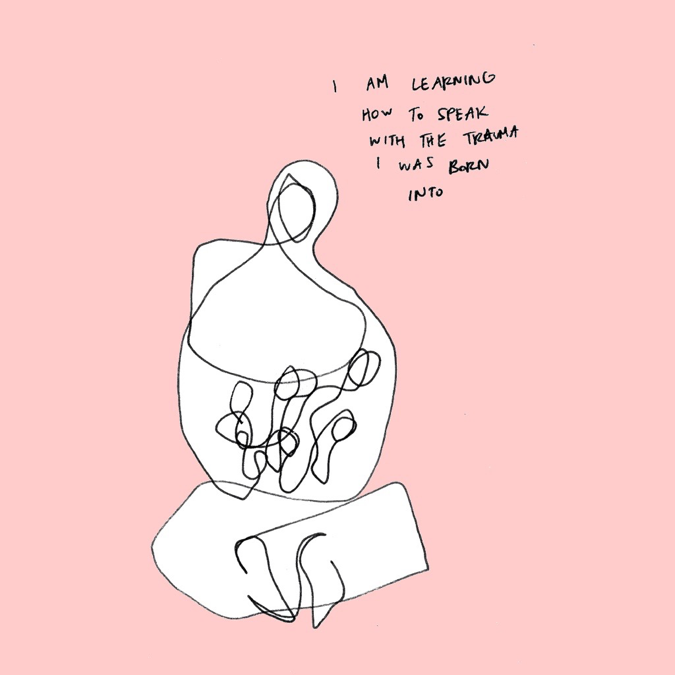 She is especially interested in notions of body as home, caring for past selves, and radical vulnerability.